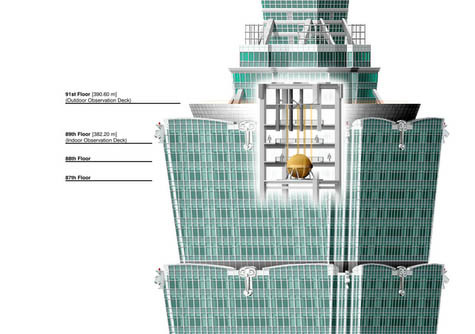 [Image: Diagram of Taipei 101's earthquake ball via the Long Now Foundation]. Earlier this week, the Long Now Foundation looked at earthquake dampers inside skyscrapers, focusing specifically on Taipei 101—a building whose unanticipated seismic side-effects (the building's construction might have reopened an ancient tectonic fault) are quite close to my heart. As earthquake waves pass up through the structure, the ball remains all but stationary; its inertia helps to counteract the movements of the building around it, thus "dampening" the earthquake. However, there's something about discovering a gigantic pendulum inside a skyscraper that makes my imagination reel. It's as if the whole structure is a grandfather clock, or some kind of avant-garde metronome for a musical form that hasn't been invented yet. 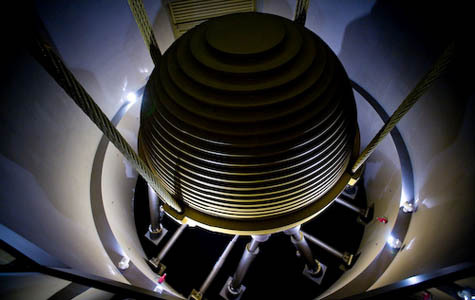 As if, down there in the bedrock, or perhaps a few miles out at sea inside a submarine, every few seconds you hear the tolling of a massive church bell – but it's not a bell, it's the 728-ton spherical damper inside Taipei 101 knocking loose against its structure. 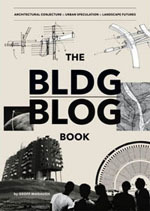 Or it's like an alternate plot for Ghostbusters: instead of finding out that Sigourney Weaver's New York high-rise is literally an antenna for the supernatural, they realize that it's some strange form of architectural clock, with a massive pendulum inside—a great damper—its cables hidden behind closet walls and elevator shafts covered in dust; but, at three minutes to midnight on the final Halloween of the millennium, a deep and terrifying bell inside the building starts to toll. The city goes dark. The tolling gets louder. In all the region's cemeteries, the soil starts to quake. With a bell, most of the concussive energy carried by air is funneled out the bottom. In the Taipei 101, if the sphere dampens side-to-side motion caused by a hypothetical earthquake, it would seem that energy would translate downward in a subtle jack-hammering effect on the earth's crust. 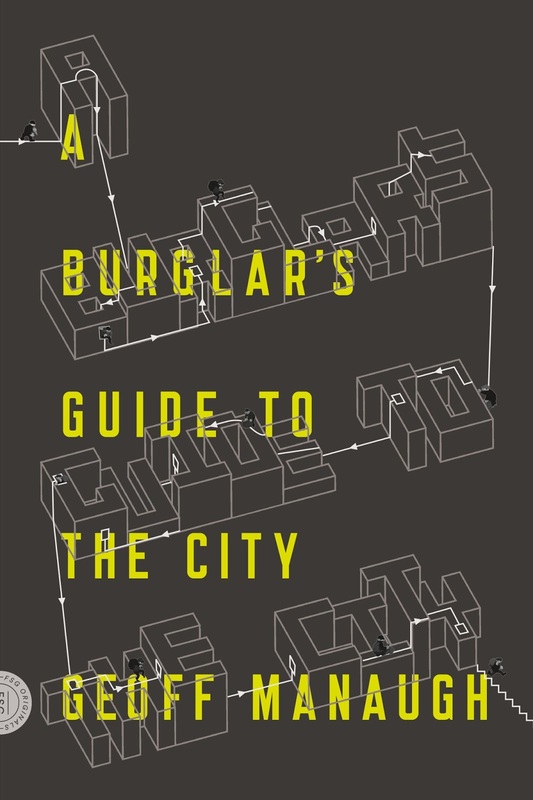 At the end of the Guardian article you linked to, the building's effect was compared to a "mere needle" - which actually can cause quite a long crack in a thin sheet of glass or ice. 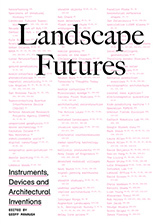 I'll have another post about a similar topic, I hope, soon. There's a great novel you guys might like by Chris Adrian called "The Children's Hospital," (McSweeny's, 2006) in which a hospital was secretly built as an ark in advance of a biblical/earth-destroying flood. It's pretty wild. 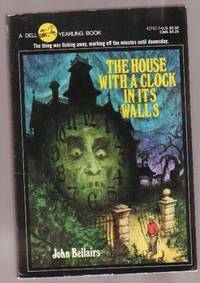 it's not quite on the same scale, but The House With A Clock In Its Walls, a 1978 gothic novel (for kids?) by John Bellairs involved somewhat the same concept. don't look at the wikipedia page if you haven't read it - spoilers! Jean, it's funny that you mention that, actually, because I was a huge John Bellairs fan as a kid. He was my favorite author when I was nine or two years old. I read almost all of his books, in fact, and The House With A Clock In Its Walls was the first one I found.